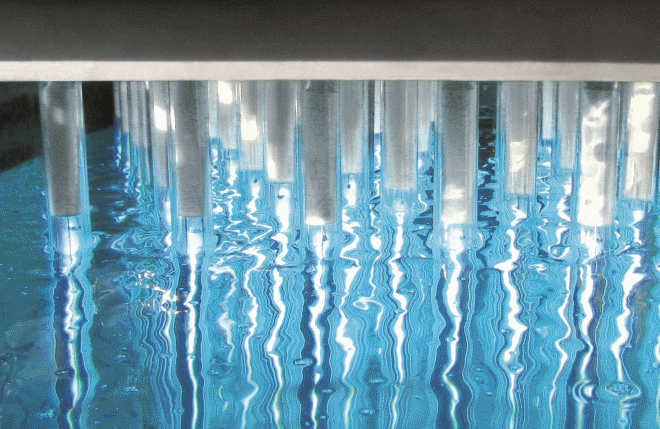 UV technology from Heraeus has a wide range of applications, such as the treatment of water without the use of chemicals. On January 31, 2013, the Heraeus Noblelight business group of the Hanau-based precious metal and technology group Heraeus acquires the Fusion UV Systems group, headquartered in Gaithersburg, Maryland, USA, from the British Spectris group. Heraeus Noblelight is a leading manufacturer of specialty light sources and systems. The global Fusion UV Systems group specializes in UV curing applications. "We are convinced that the activities of the two companies will excellently supplement each other. The new joint technology portfolio covers all known methods of UV light generation, e.g. microwave-excited UV lamps and innovative UV LED modules, which will open up new areas of application for us," says Rainer Küchler, managing director of the Heraeus Noblelight business group. While Heraeus Noblelight has hitherto focused on the UV sterilization of packaging materials and drinking and industrial water and on the printing industry, Fusion UV is involved in the use of UV technology in the production of glass fibers and displays, e.g. for smartphones. The various regional core areas combine to yield a high market coverage with a direct access to all important industrial markets in the USA, Europe and Asia. The take-over makes Heraeus Noblelight the leading supplier of industrial UV process solutions. This makes the company well-placed for the trends in the market for specialty light solutions: the increasing customer demand for integrated process solutions from a single source and the substitution of conventional gas discharge lamps with LEDs in the medium term. The acquisition bundles development, technology and market competences in an ideal way. "In future we can anticipate important trends more quickly and come up with customer oriented solutions", says Küchler. With headquarters in Hanau, Germany, and subsidiaries in the United States, the United Kingdom, France, China, and Australia, Heraeus Noblelight GmbH is a global market and technology leader in the production of specialty light sources. Heraeus Noblelight achieved annual revenues of €103 million in 2011 and has 731 employees around the world. The company develops, manufactures, and markets infrared heaters and ultraviolet lamps for applications in industrial production technology, environmental protection, medicine and cosmetics, research, and analytic measurement technology.